Make your email campaigns count. If you have been bombarding your audience with emails, you're more likely to lose subscribers. Sending out the right number of messages in a timely manner is just as important as the content within. Even a series of carefully crafted emails can fail to connect with your recipients if they aren't being shared in a smart way. 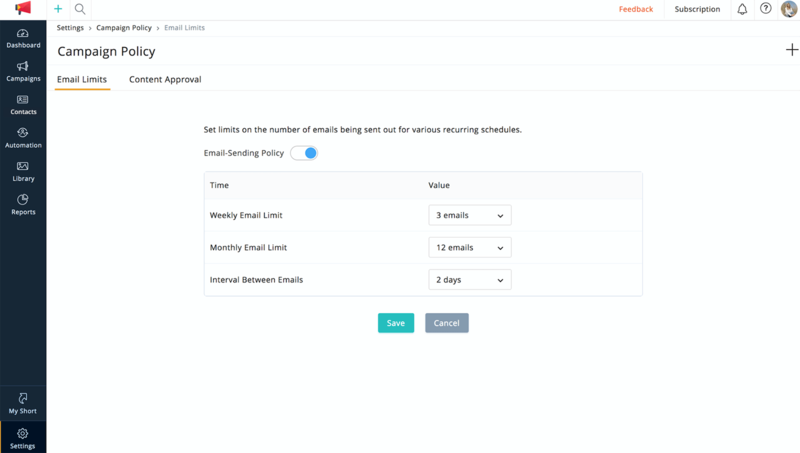 Set limits on the number of emails and time them correctly to ensure that your messages aren't too sparse or abundant. A smart email policy will ensure better deliverability for your campaigns, which will keep your messages from ending up in the spam folder. With a well-thought policy, your emails will reach your recipients at the perfect rate. By implementing an email policy, your readers' interest and trust in your emails will increase, thereby increasing your brand value. When you space out your emails with each one targeting a crucial element, your recipients will look forward to receiving your information, develop more interest over time, and understand your brand better.